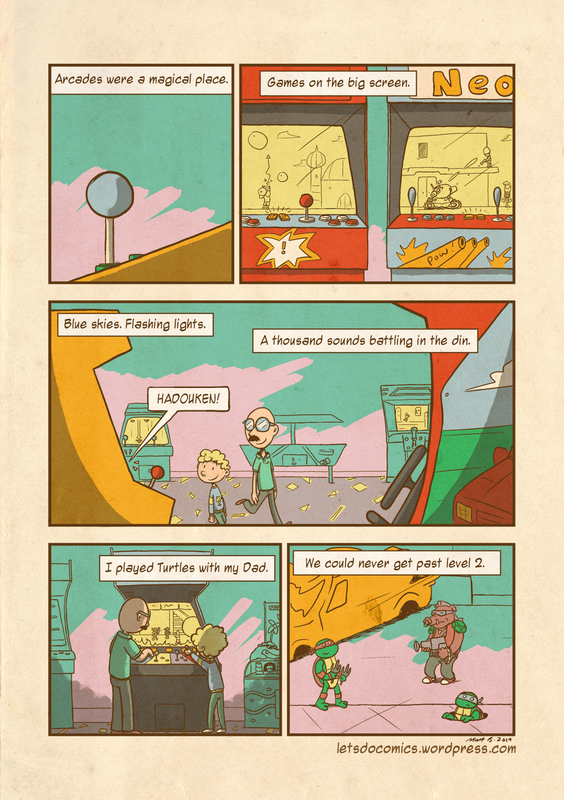 Arcade Memories. | Let's Do Comics. This entry was posted in author: matt b, Misc/Sketchbook and tagged arcade, cabinet, comic, dad, games, gaming, hadouken, leonardo, matt, metal slug, neo geo, ninja, outrun, raphael, retro, space harrier, street fighter, super pang, tmnt, turtles, videogames, webcomic. Bookmark the permalink.